This pannier consists of 6 pockets of different sizes with 3 in the flap and 3 on the back side. 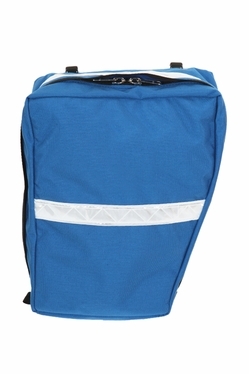 The pockets have clear vinyl flaps to view the contents. 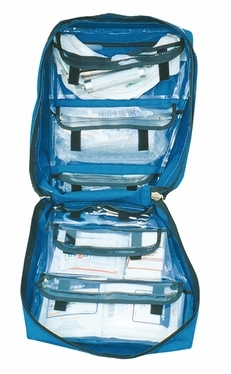 The pockets allow you to carry loose items, pre-packaged supplies or specialty kits. 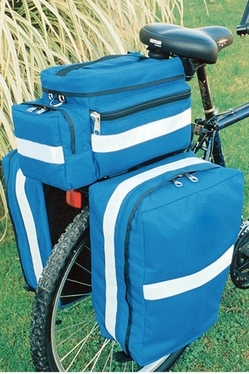 These can be used as a pair or matched up with either the #1323 O2/BVM pannier or the #1326 AED pannier. 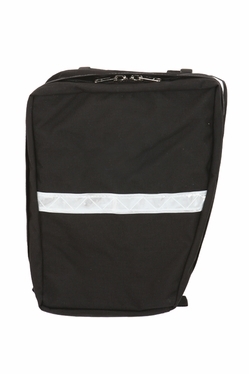 Made of 1000 denier Cordura® nylon, the back side of the bag is nylon reinforced vinyl for easy cleaning and has self repairing #10 Ykk nylon zipper with a storm flap. White 3M™ Scotchlite™ Reflective Material and a star of life. 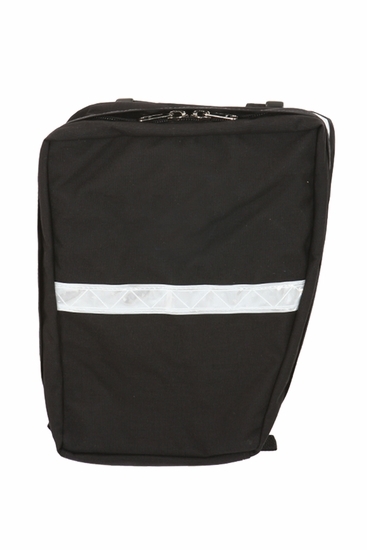 Measures: 15"H x 12"W x 7"W for 1,250 cu. in. of space. Wt. 80 oz.